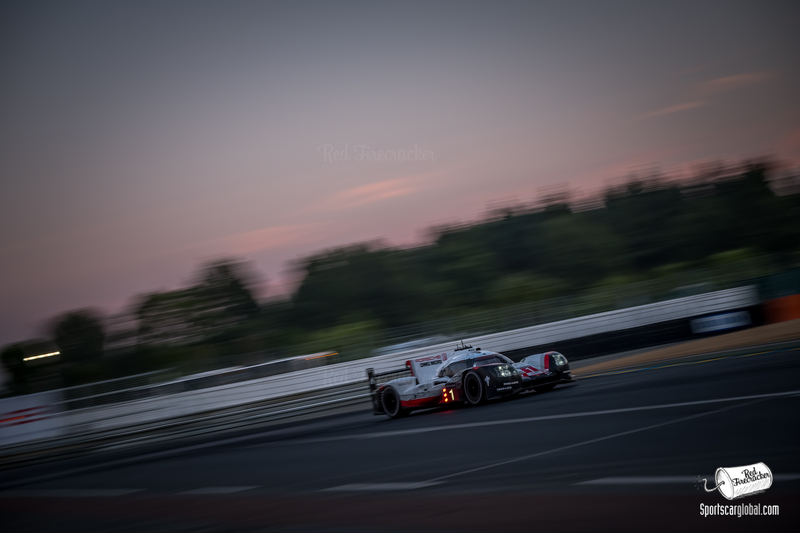 The 2017 running of the Le Mans 24 hours once again demonstrated how special this race is, the challenge it provides and the test that it provides irrespective of the thoroughness of your testing regime. The practice and qualifying days complete, and everything indicated a substantial challenge from the enhanced Toyota TS050 Hybrids to the incumbent champions at Porsche. The front row lockout ensured that Toyota led the opening lap, though immediately there was drama further back. Having fought tooth and nail to make the grid with cylinder compression issues on its new Nismo engine the #4 ByKolles ENSO struck a loose track marker which, in conjunction with a wide and wild run through Tertre Rouge, dislodged the nose of the car. Consequently the nose blocked the cooling for the engine, and cooked what was left of the good work the team had done to-date. This would not normally be significant news but the ByKolles had run very well leading up to the race with a possible 3:22 in it, and suggestions from Oliver Webb that to lead at the first chicane on the Mulsanne was a very real aspiration. This brings our first observation, Toyota went to war with three-cars, but it was unclear as to whether they had any strategy to exploit that scenario. We did see the #7 & #8 leave the #9 behind (after an early stop for minor repairs on the #9), but we did not observe any clear roles undertaken. Previously 3-car squads have split their pace, one taking the role of the hare, to lure the opposition into a fist fight, another on a pace typical of their competitors and the third car something of an easy rolling banker for a finish. That said the #1 Porsche 919 Hybrid did not make it easy for them, nipping at the heals of the two lead Toyotas. Nick Tandy put in a tremendous early triple and analysis demonstrates why the Brit is such highly valued property at Porsche. Next the #8 Toyota TS050 Hybrid was into its box, with a similar front hybrid issue to the Porsche. The question of crews, practice and serviceability resulted in the #8 Toyota resuming, but with an even bigger deficit (29laps behind) to make up and due to the later failure less time to recover its position. This car did have pace on its side, and indeed went on to set that fastest race lap mentioned earlier. The #7 Toyota TS050 Hybrid and #1 Porsche 919 Hybrid comfortably breaking away, with the #7 looking extremely comfortable. With the #9 Toyota we had a podium of LMP1 Hybrid cars, with two further hybrids chasing hard. 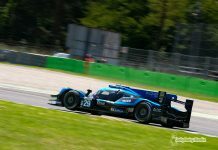 The LMP2 field had caught onto the scent of the higher category though and the pace set in qualifying was being maintained, especially by the more capable two-car teams, their professional drivers (some sore from being rejected from the diminished LMP1 field) keen to make a statement. As darkness fell to the tunes of Kool and the Gang the celebration of all things endurance and motorsport continued into the night on both sides of the fence the balmy evening and dipping sun leading to a larger than normal late evening crowd. 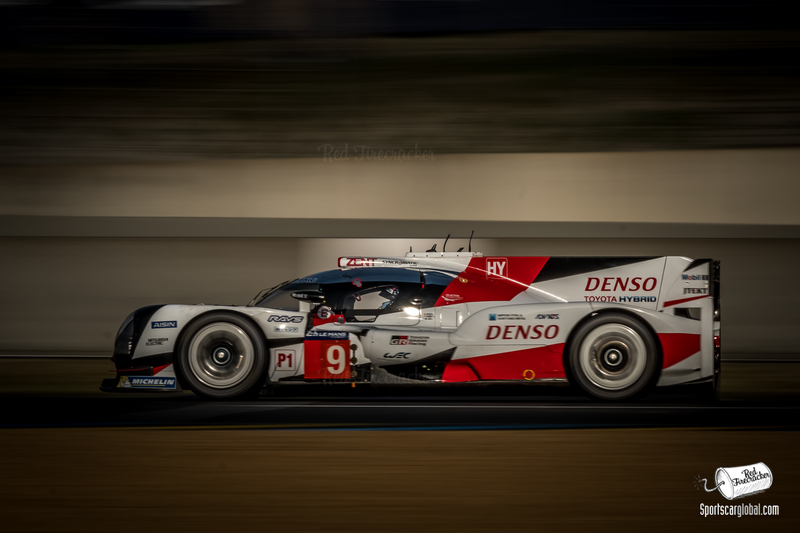 A few night-time offs led to some slow zones and at least a couple of safety periods, and it was at the conclusion of one of these that a quite bizarre incident allegedly contributed to the demise of the #7 Toyota driven by the Qualifying King of La Sarthe, Kamui Kobayashi. Pit out closes at Le Mans to ensure pitted cars resume after the next Safety Car passes (to deny any racy moments through to the back of the preceding queue. Kamui waited his turn. An apparent well meaning Vincent Capilliere appeared in his predominantly Orange and Black race suit to offer an enthusiastic thumbs up …. Kamui appeared to think this was a marshal giving him the get-go irrespective of any red light displayed. He went, and not in the milk-float mode that we are so used to from a TS050. Nope this was a traditional drop the clutch unleash the power and off you go with a snarl. Unfortunately the Toyota is understood to be optimised for the milk-float/bump start and its clutch cried enough. Kamui was unable to achieve much pace at all, and was faced with 13.6km back to his pit box for repair solely on hybrid drive. Toyota achieved this at Spa on a 7km lap, but the juice ran out at Le Mans, and the hex on Toyota at La Sarthe claimed one more victim. Lightning then struck Toyota again, twice in 20mins; at 01h35 at the top of the pit lane one car is exiting the pits, Simon Trummer in the #25 CEFC Manor TRS Racing Oreca 07 is rounding the curve, and for reasons best known to Nico Lapierre in the #9 Toyota, Nico decides to thread the needle between the two. Declared a racing incident by officials, Lapierre and Trummer contacted, the Manor Oreca thrown off into the gravel to wreck & retire, Simon battered and bruised, limping heavily on his right leg/ankle. The #9 Toyota was recovered from its gravel trap, but the rear puncture and an over-enthusiastic attempt to return round much of the lap saw a minor fire break out briefly before being extinguished and ultimately the car destroyed and retired just short of the pit entry. The above left just the one manufacturer hybrid, the #1 Porsche 919 Hybrid of Jani/Tandy/Lotterer with a very comfortable eighteen 13.6km-lap lead over the second placed car. But Lady Le Mans had not finished with the dishing out of bad luck. With under five hours remaining Andre Lotterer reported low/no oil pressure, and a clattering V4 could be heard in the comms to the pitbox. Faced with a similar predicament to Kamui, Andre struggled round the lap in a very slow limp mode. He made the kink just after the second Mulsanne chicane and there his race was sadly over. 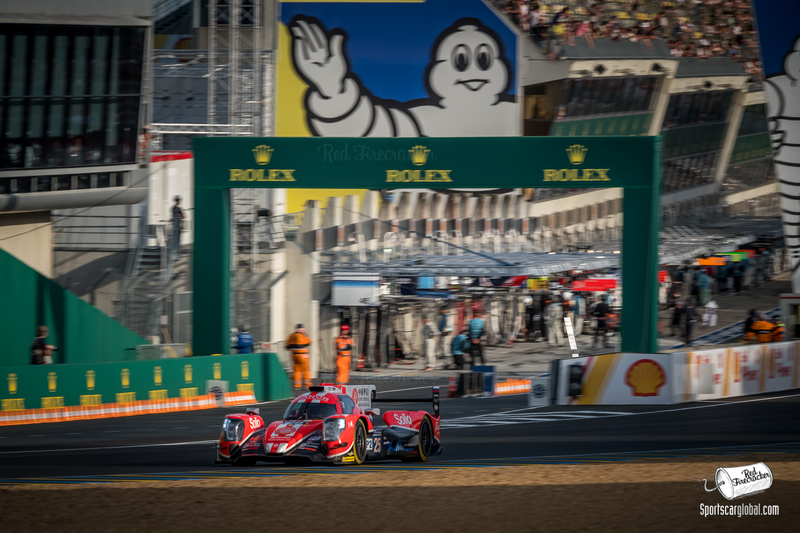 So unless some of the recovering LMP1s could complete a stupendous recovery drive, we were going to see a lesser category (LMP2) car take the overall win at Le Mans. Something not seen since our Allan McNish was a Porsche GT1 driver in 1998. 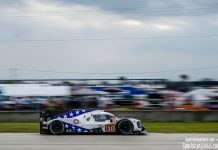 Social media lit up with ill-judged comments about the demise of LMP1, the failures in the heat being placed at hybrid door, excessive spending by the remaining manufacturers and the whole thing being farcical. 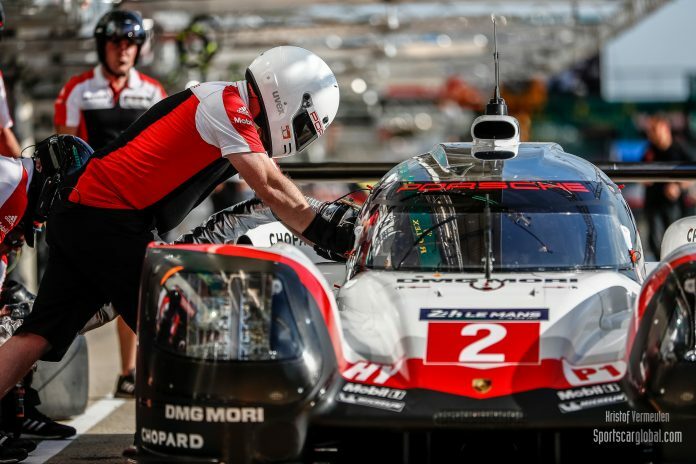 At Sportscarglobal we can sometimes be quick to judge, but in this instance we see strength in LMP1, and indeed the essence of the spirit of Le Mans has been built on testing each and every era’s new technologies. To test something, to find its limits, necessitates breaking it from time to time, and that was very much the game in 2017, a classic year. 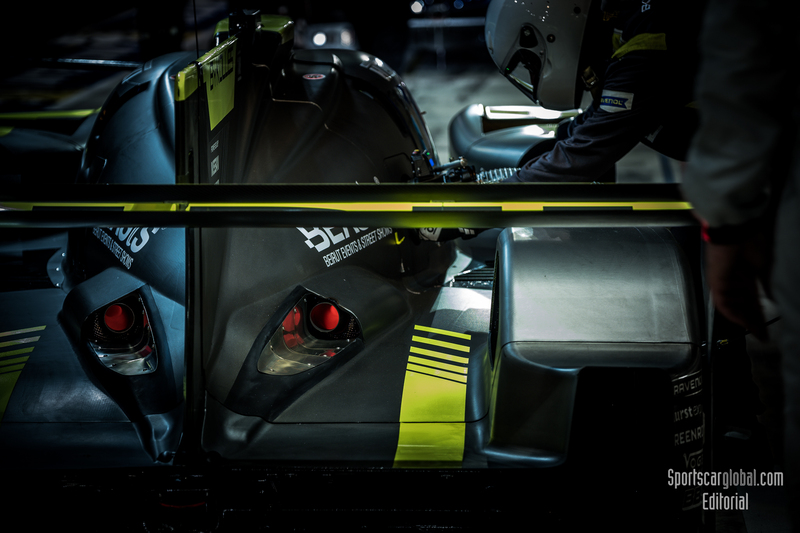 Furthermore the pace of the ageing ByKolles car in practice and qualifying, brings substantial support for the programmes from Ginetta, Perinn and no doubt others that if they build it, the customers will indeed come. So reports of the demise of LMP1 have been greatly exaggerated. The other key element that came to the fore was serviceability, the race threw everything, at the teams; pace, heat, gravelly moments, punctures, failures and repairs, seemingly though very few were to give up, and a survival to the flag rate of over 82% or 49 of 60 cars was quite remarkable, especially as 4 retirees were from LMP1, and a number of the other casualties of unusually poor driving standards by M. Vauxviere and Mr Rusinov. However, this race was still not done. 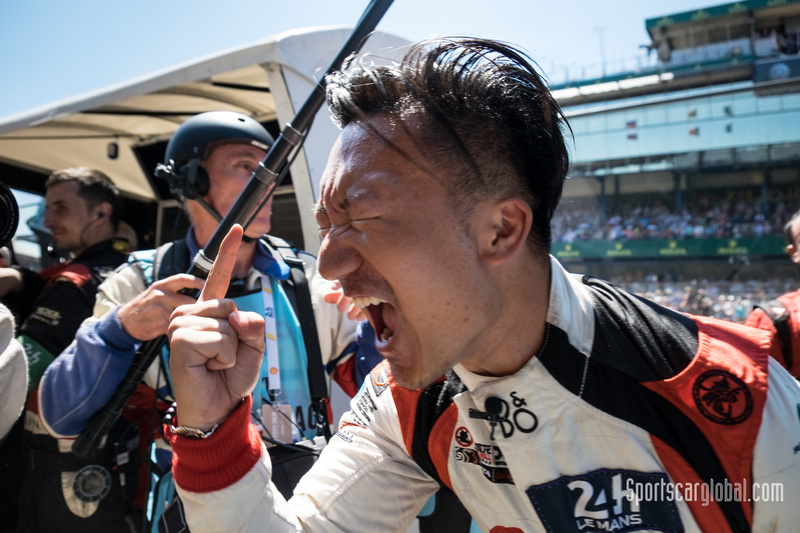 Our beloved and re-born #Mighty38 Oreca 07 Jackie Chan DC Racing X JotaSport of Tung/Laurent/Jarvis came to the fore with at 11h53 just 3-hours to run, and a 4-minute lead over the now fast recovering #2 Porsche 919 Hybrid of Bamber/Hartley/Bernard. With a closure rate of up to 10-seconds per lap, it was clearly a scenario of will the Porsche last, it seemed inevitable it would catch the #38 DC Racing Oreca. The charge for Porsche was going well. In our earlier report with Simon Dolan he had predicted the #38 would lead, we chuckled at the time. We had spoken with Sam Hignett (team principal) at Silverstone and he speculated then that LMP2 was/is the new LMP1. Both thoughts appeared to be being played out at this Legendary race in La Sarthe. In the 23rd hour the #2 Porsche finally reeled in the #38 LMP2 runner, and with just 20 laps remaining it took the lead and comfortably completed the race distance at 367laps a total of 5,001.23 kilometres at an average speed of 208.2 km/h. “What we have achieved is quite remarkable. Just a few dedicated people with a limited budget have achieved a 2nd and 3rd overall at Le Mans, two class wins and two seconds in class. “To put this in perspective, Toyota have spent over €500m in the last few years and the best result is a 2nd and 4th. With less than 1/100th of the budget we have beaten them. In a sporting context this is surely one of the greatest David v Goliath of all time. The huge disappointment suffered by the Toyota Motorsport family is quite raw and palpable, and added to the 2016 trauma this is an environment that some might walk away from. But not Toyota. Le Mans and Toyota have respect for each other, Le Mans demands respect, expects its competitors to be humble before her and when at her most cruel, can flip the coin and deliver the ultimate high. That we believe is why Toyota will return, they will consider all that they have learnt from this weekend and, armed with more data, the wounds will heal and we expect them to return hardened for 2018 sang-froid mes Amis. A larger question mark could be raised against Porsche’s LMP1 programme for very different reasons. We have seen the financial consequences of the Diesel numbers manipulation decimate the Audi LMP1 Programme which from a marketing and financial perspective could not persist. Porsche is part of Volkswagen Group and does have diesel road cars and the negative associations exist. Add to that a hattrick of Le Mans wins and success in the World Endurance Championship, and we could see a case emerging for Mission: The Return evolving into Mission:Achieved. Job Done, Game Over! We of course hope not. Le Mans of course is bigger than its competitors and come what may has plans to re-vamp from 2020 refreshing both the LMP1 and GTE formats. 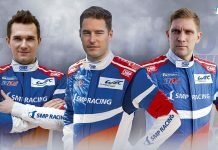 Equally the LMP2 category will need some attention to allow for great success across the homologated producers, though the basis for the category is strong and if teams were looking at this year with any doubts about future involvement we would expect those doubts have been completely dispelled. If you want to define a Great race, in our opinion you need look no farther than the Circuit de la Sarthe in mid-June. We adore the Nordschleife, we cherish the Monaco GP, we love the razzamatazz of the Indy 500, but there is only one true test of man and machine, that epithet can solely fall to Le Mans, The Greatest Race on Earth! For 2018 mark your diary for the weekend of 16-17th June, and give your travel arrangements much needed prompt attention.